Be it a movie scene or a real life moment captured with a camera and then gratified in the form of play, sculptures or paintings, some junctures are powerful and relate life with never ending emotion in the form of a passionate kiss. It is the most famous kiss that are depicted in the form of art. The sculpture was created out of marble by a French artist in 1889.The marble statue showcases the passionate love of two lovers Paola Malatesta and Franncesca da Rimini from Dante’s The DivineComedy. The couple lips however didn’t actually touch in the piece suggesting that the lovers were interrupted and met their demise thereafter. Lasting only 47 seconds long the film features John Rice and May Irwin recreating the kissing scene of the play ‘The widow Jones’. However not everyone found it romantic and passionate. 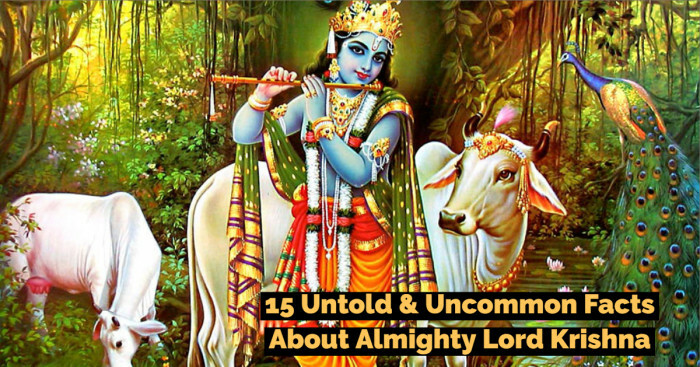 The painter John Sloan stated – “Magnified to Gargantuan proportions and repeated three times over, it is absolutely disgusting.” After the film release, it caused a huge disturbance amongst the headlines for deploring content. Edison who distributed this film to be shown commercially advertised the movie as - get ready to kiss, begin to kiss, and kiss and kiss and kiss in a way that brings the house down every time”. The famous tear drop chocolates or the creamy milk chocolate kisses have been the favorite very long years. You won’t believe that more than 70 millions of these seize chocolates are produced every day. 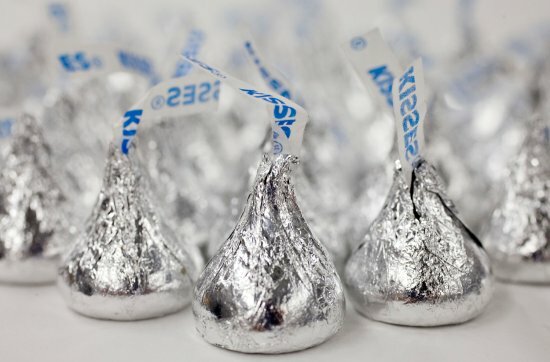 Over the years the Hershey’s kiss is seducing more people and these bite sized treats have been wrapped differently with tempting colors. The most passionate kiss shared in a film Sunday Bloody Sunday by a bisexual artist (Murray Head) are featured in the film. A film is directed by John Schlesinger narrating the story of a Murray head and his relationship with a male doctor (Peter Finch) and female consultant (Glenda Jackson). The film gained attention because it was the first film that ever portrayed the relation and the passionate kiss between 2 males. The movie was also listed amongst the critics for the year. Gustav Klimt was an Australian painter who was noted for his paintings and sketches. 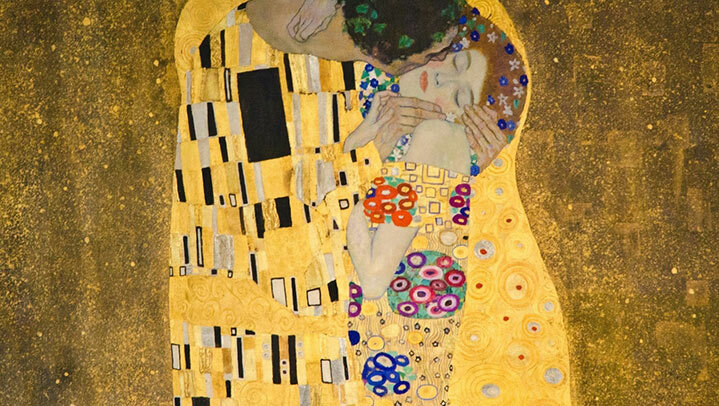 One of his famous works involves the passionate kiss which was painted in the year 1908. This portrayal showcases the affectionate kiss between a couple locked in an intimate position while the rest painting dissolves into a beautiful pattern. The paintings exhibit the work of Klimt which were claimed as the pornographic and ‘perverted excess’ which tagged him as an enfant terrible. Currently, the painting is kept in the museum in Vienna. The iconic scene where unconditional lovers Romeo and Juliet (Shakespeare’s two passionate lovers) kiss in a balcony in Italy (Verona) is the most famous kiss ever portrayed in human history. You will hardly find one or probably can say that nobody’s here who don’t know anything about this couple. Romeo and Juliet are the perfect figures of the eternal love. Even many people wish to travel Verona just to re -enact the way Romeo and Juliet kissed. The world’s most famous kiss happened when Japan surrendered, effectively ending WWII. This passionate kiss was captured in New York City. V -J Day or formerly known as Victory over Japan Day was widely celebrated by the people. This passionate kiss has won the millions of hearts around the world and was captured at the Times Square. The faces of the two revealed after few days of the clicked. They were dental assistant Greta Zimmer and navy quartermaster George Mendonsa. The two were not involved in the part of romance but they were only more excited about the celebration. 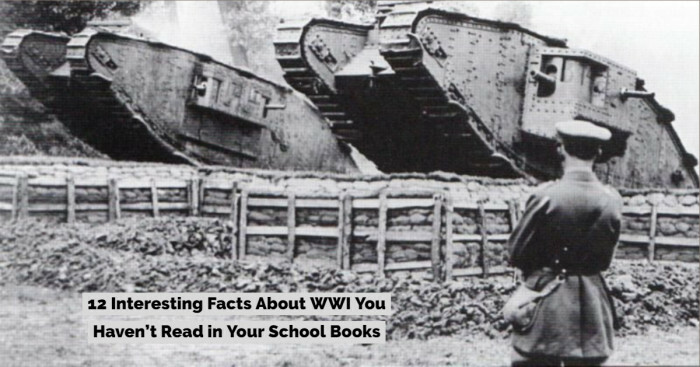 This picture highlighted the positive effects of the WWII end and reminded everyone about the happiness and inner peace. The Betrayal Kiss is the most famous kiss noted in the books of history. This kiss has become the omen of disloyalty and has been memorialized in the pieces of art. 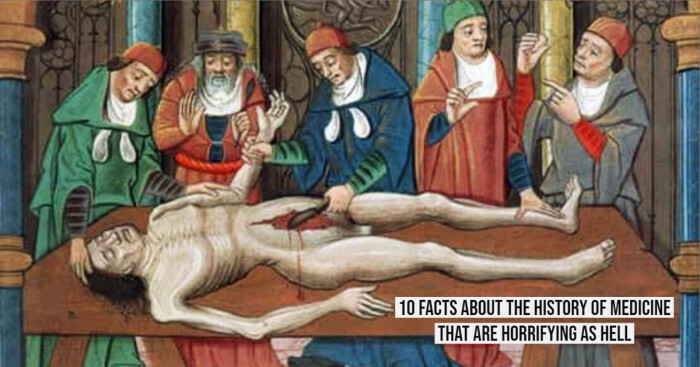 It was the time when Jesus and his supporters began disturbances for the government and the church, the Caiaphas bribes Judas and gave him 30 pieces of silver to betray Jesus. 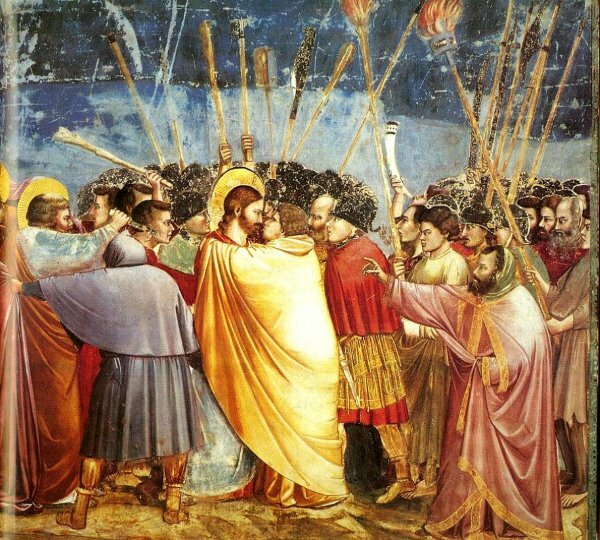 He then kissed Jesus which was noted by the members and as a result Jesus was arrested and attacked to death. Christianity was born and Judas then hanged himself as he accepted his guilt. 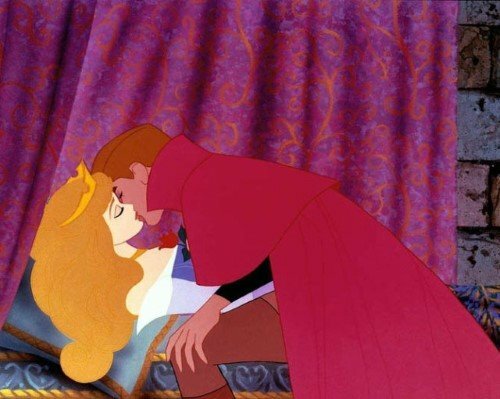 The famous bedtime story of the children the sleeping beauty portrays the popular and the passionate kiss ever. The story is originally written by the Brothers Grimm narrates the story of the King’s daughter and the princess. Aurora was supposed to die, but thanks to the prince who kissed her passionately and wake her. Prince Philip is quite handsome and awakens her, yes, they lived happily after. During the year 1979, the two members of the party embraced a beautiful kiss what is popularly known as “Kremlin Kiss”. 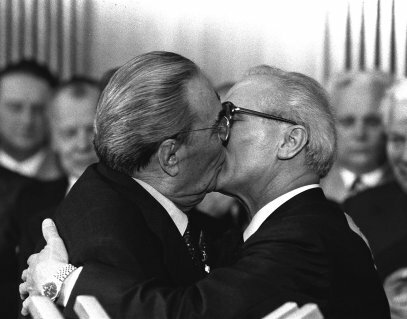 Leonid Brezhnev and Eric Honecker, the member of the Russian Communist Party and the General Secretary of the German Socialist Party respectively celebrated the anniversary of its founding as communist nation. This photograph became the headlines of various famous newspapers. The iconic superhero Spiderman (Peter Parker) falls in love with the girl next door MJ Watson. Throughout his journey girl finds herself in danger many times and every time she was saved by the Spiderman. They finally embrace a kiss as Spidey hangs himself down the head following the upside- down kiss. The kiss in the rain became very popular by this series and the chemistry of the two won an MTV Award for “Best Kiss”. This passionate and an affectionate kiss became the most popular kisses in the entire history.